Improve your PowerPoint Presentation skills, Work better with Numbers and Data in Excel 2013, and Create stunning Documents in Word 2013 by attending a short, 3 day, hands-on & Practical workshop on Microsoft Office 2013 in Singapore. Microsoft Office 2013 (Word, Excel & PowerPoint) for Intermediate Level is best suited for people who want to get more out of Microsoft Office Suite and make the best use of the software in their day-to-day use. Learn Office 2013 tips and techniques that will make your work you work faster, efficiently, and you will be able to do complex tasks in a short time. 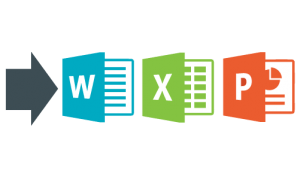 Excel 2013, Word & PowerPoint are simple office productivity tools from Microsoft, and are very easy to pick up, once you follow our step-by-step, practical and useful approach to learning the software to maximize your efficiency and effectiveness with the use of these popular software packages. Beginner users and People who know the basics, but want to learn the Intermediate features of Microsoft Excel, Word & PowerPoint will find this program extremely useful. Register for the 3 Days of Microsoft Office 2013 training today by simply clicking on the chosen course date available at the top of this page. Submit an online enquiry if you have any questions regarding Microsoft Excel, Word and PowerPoint 2013 training. Call us at +65 6296-2995 or email to training@intellisoft.com.sg for any questions, or to register for the upcoming class of Microsoft Office 2013. I like the detailed course material during session. Now I am able to complete my presentations in a short period of time & make it more attractive. Trainer was very patient with us. I feel comfortable raising question when in doubt. It will help me in case if I need to do some logistic recordings/ typing letters. Trainer willing to show how to do certain steps although it is not in modules. I use it a lot. It will definitely help me with my work. Trainer’s patience to teach and repeat again and again to those who are slow.